I am an information junkie. I have been that way since I was a little kid. I loved to read encyclopedias and dictionaries just to KNOW stuff. The Knitter's Book of Yarn feeds the junkie in me when it comes to learning stuff about yarn. It is written by Clara Parkes of Knitter's Review fame. I'd often visit the site to read her reviews on everything from books to yarn. She is thorough in her assessment of yarn, giving honest first impressions and warnings on things you should look out for. If you've never heard of Knitter's Review, I suggest you get thyself there now. Chances are, she's reviewed a yarn/book you're interested in purchasing. Clara ('Cause we're on a first name basis. 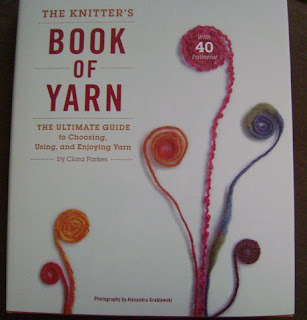 Heh) has taken her knowledge of yarn and placed it in book form. A treat indeed. She teaches you how to look for the best yarn to use for your projects. 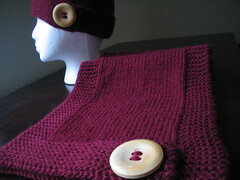 Do you want to chose a yarn that will allow you to create a sweater that does not pill a lot? The book tells you which type of yarn to use for that. Want to know the best fiber length a yarn should have if you're going to knit a piece that is subjected to a lot of abrasion (like socks)? It tells you that too. This amazing book includes information about the characteristics (both good and bad) of the various protein, plant, and synthetic fibers, and supplies patterns for projects that are geared toward showing off the best characteristics of the yarn used. You even get a lesson on how yarn is made. The Knitter's Book of Yarn gives you a great deal of information without sounding too stuffy or scientific. The book retails for $30.00. I bought my copy from Amazon.com for $19.80. I am quite pleased with this purchase. 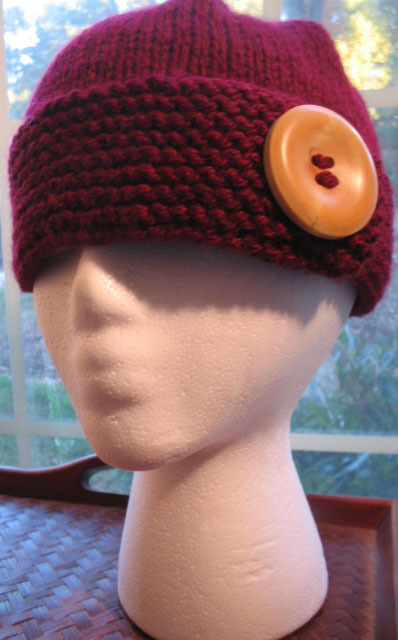 And if you're an info junkie when it comes to knitting, I think you'll love it too.